Literacy, long upheld as a standard bearer for progress, is not always a force for good. Had Stalin's mother never sent him to the seminary he never would have learned to read and so never discovered the works of Marx or Lenin. Instead he probably would have ended up like his father - a cobbler by trade and a drunk by vocation. Throughout the twentieth century dictators subjected captive audiences to soul-killing prose on a massive scale. They published theoretical works, spiritual manifestos, poetry collections, memoirs and even romance novels. 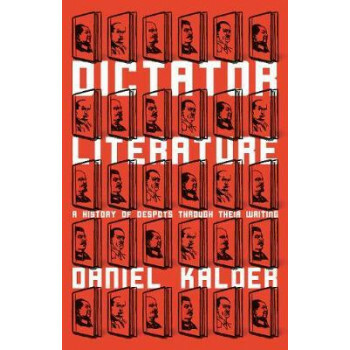 Armed with nothing but a darkly humorous wit, Daniel Kalder journeys long into the literary night to discover what their tomes reveal about the dictatorial soul. From the staggeringly vile and incompetent Mein Kampf, and the `miracles' wrought by former librarian Mao's Little Red Book, up to the ongoing exploits of North Korea's Kim dynasty, Dictator Literature is an unforgettable look at the power of the pen.